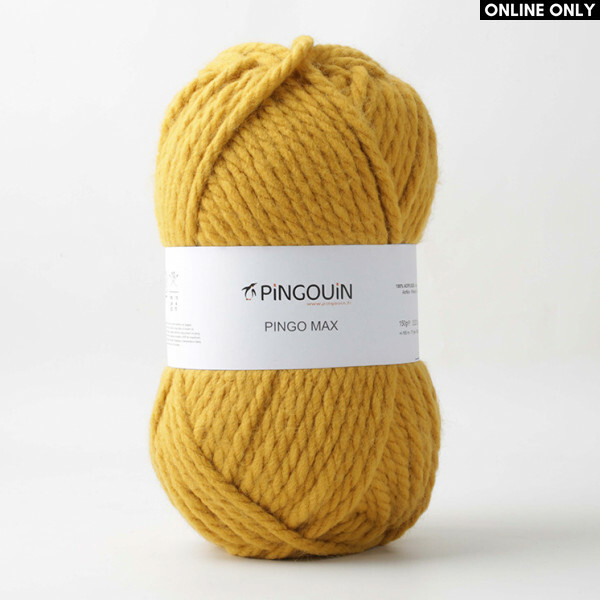 Pingouin Pingo Max yarn is made from 100% quality acrylic, and is machine washable, making it a really practical choice for knits for the whole family. Knit with 10 mm. (US 15) knitting needle of 10 mm. (US N) crochet hook.